Working with lumber is not just a job, it is a lifestyle. You have dedicated your career to working alongside lumber but realize that the inherent risks of such a profession can present more dangers than the average business and needs to be protected from many different angles. Here are just a few of the areas of concern that could be addressed in a Lumber Insurance program with HPM Insurance of New Hampshire. Being an arborist can be a risky endeavor so you need an insurance company that understands the nature of your business. At HPM Insurance, we work with carriers that may not only cover property damage you may cause while performing your job, but also broadens the definition of property damage to include damage done to trees and shrubs, including inadvertently cutting the wrong tree down. Other arborist programs may exclude this coverage. As part of your work, you may also need to work with pesticides, herbicides, and fertilizers which can be considered a pollutant. Our agency has a partner that extends Timber Insurance coverage for pollution incidents caused to the proper application of such pesticides. Businesses that work in the lumber field are not all the same. Because of this it is important to partner with an insurance agency that can connect you with highly qualified and experienced loss control staff. This service can assist you in identifying areas of concern which can reduce the chance of a claim and hence improve your bottom line. Many loss control professionals can offer safety programs, including First Aid and CPR training as well as defensive driver training. If you have HPM Insurance working for you, you will have one less thing to worry about and can focus on what you do well: running a lumber business. We are an independent insurance agency which means that we represent many insurance companies to find you a well-rounded insurance program at an affordable price. Lumber Insurance is not a cookie-cutter product. What is good for the lumber yard will not be a good fit for the furniture manufacturer. You want someone who can provide you with options and solutions to keep your business running for years to come. We represent the best insurance companies in New England and help build a program that can fit both your needs and budget. Don't wait until after a claim to think about your insurance! Our insurance professionals will review your current program to find gaps in coverage, and can offer options to keep your business fully protected. If you simply file your policies in a drawer year-after-year without looking at the documents and never see your current agent, maybe it is time to take action. Your business has changed over the years and so have your insurance needs. HPM Insurance has been writing insurance for the lumber industry throughout New Hampshire and New England for decades. Here are three reasons to contact us today! The cost of insurance in the lumber industry has been changing dramatically over the last couple of years. Make sure you are not over-paying. 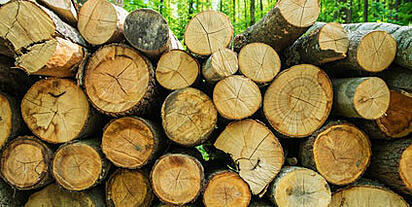 Make sure you are not missing essential coverage for your lumber business. Some insurance companies are rolling out new lumber programs to include property insurance, liability insurance, workers compensation, commercial auto, inland marine and commercial umbrellas all with the same carrier. This can provide leverage to reduce overall premiums and may help fill coverage gaps. We look forward to hearing from you! Simply enter your zip code in the orange box above and complete the very short questionnaire. From there we will reach out to you within one business day to customize your Timber Insurance quote.